The Land and Water Conservation Fund is critically important to public lands in West Virginia and across the nation. And it’s at risk of expiring on September 30. All summer long, West Virginians for Public Lands partners are sharing with Mountaineers what the Land and Water Conservation Fund has done for our state and encouraging people to contact our Congressional leadership to voice their support. Since 1964 the Land and Water Conservation Fund has supported over 500 public lands projects in 54 West Virginia counties worth nearly $240 million. You can find an LWCF project near you using this map or this list by county. 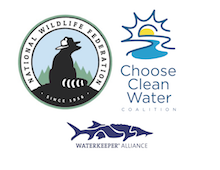 How to help: check out our LWCF FAQ and webpage and send a message to Congress asking them to make sure the Land and Water Conservation doesn’t expire. 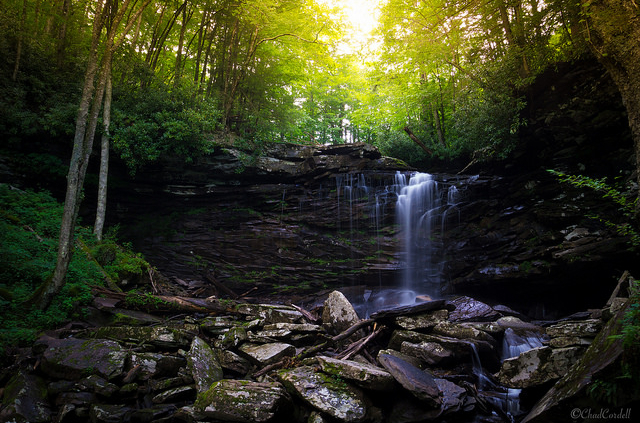 The Falls of Hills Creek is one of the many Roadless areas in West Virginia. Middle Falls by Chad Cordell. Politicians eager to chip away at core conservation rules and open public lands to development are always on the lookout for ways to add controversial riders to “must-pass” legislation. Another attack on the Forest Service’s Roadless Rule, which protects backcountry areas like Seneca Creek and Cheat Mountain from new roadbuilding, was included in HR 2, better known as the Farm Bill. The Farm Bill usually contains legislation pertaining to food stamps, farm subsidies, and other U..S Department of Agriculture programs. Because the Forest Service is part of USDA, some members of Congress tried to take the opportunity to open roadless areas to logging and to exclude most forest management activity under 6,000 acres from environmental review. That’s over 9 square miles! Thankfully HR 2 did not pass. We’re on the lookout for other Roadless Riders. Stay Tuned! Do you love West Virginia’s “wild and wonderful” public lands? Do you love ice cream? Make sure you join us for our popular Public Lands Volunteer Leadership workshop on June 9 in Charleston! The training will kick off with an overview of the threats facing public lands — like efforts to defund, sell-off, and industrialize these special places. Then, the WV Rivers team will share effective organizing strategies. You’ll learn about and practice tools like story-telling, campaign planning and digital advocacy; tools that were used by public lands volunteers to defeat the state parks logging bill! Cool treats will provided through generous sponsorship from Ellen’s Homemade Ice Cream. So what are you waiting for? Support public lands and your taste buds by signing up now! Allen Johnson, a Pocahontas County resident and leader of WVPL partner Christians for the Mountains, reminds us of the importance of national public lands on the one-year anniversary of the Antiquities Act review that shrunk Bears Ears and Grand Staircase-Escalante National Monuments in Utah. West Virginians overwhelmingly support MORE protections for public land, not less. Allen encourages us to be thankful for the blessings and beauty bestowed upon our country and to protect the public land that contains so much of our cultural heritage. Thank you Allen! You can read his piece here. Public lands volunteer Colin McCahill is all about being outdoors. “I love it. I live for it. I don’t know a world without it” says Colin. He is a paddler, climber, and bicyclist and has worked on public lands since he was thirteen. 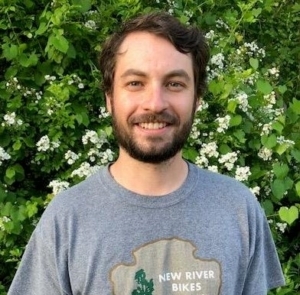 Currently, he does trail maintenance for the New River Gorge National River. Colin has been an enthusiastic and effective public lands volunteer since last summer, putting his talents to work by tabling at events. 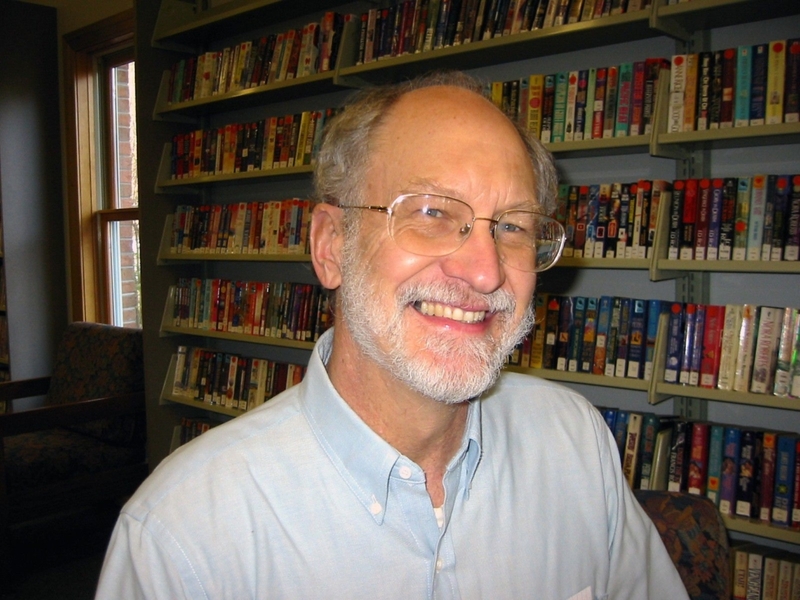 Recently, he represented WVPL at the Appalachian Outdoor Film Festival in Fayetteville. Colin, along with other public lands volunteers in the Fayetteville area are planning fundraiser for West Virginians for Public Lands this summer, stay tuned for more information! June 24: Highland Scenic Highway Cleanup hosted by Friends of the Highland Scenic Highway Meet at the Cranberry Nature Center at 8am. Check out the calenders of the West Virginia Chapter of the Sierra Club, West Virginia State Parks, the Monongahela National Forest, and the New River National River for more events and outings.